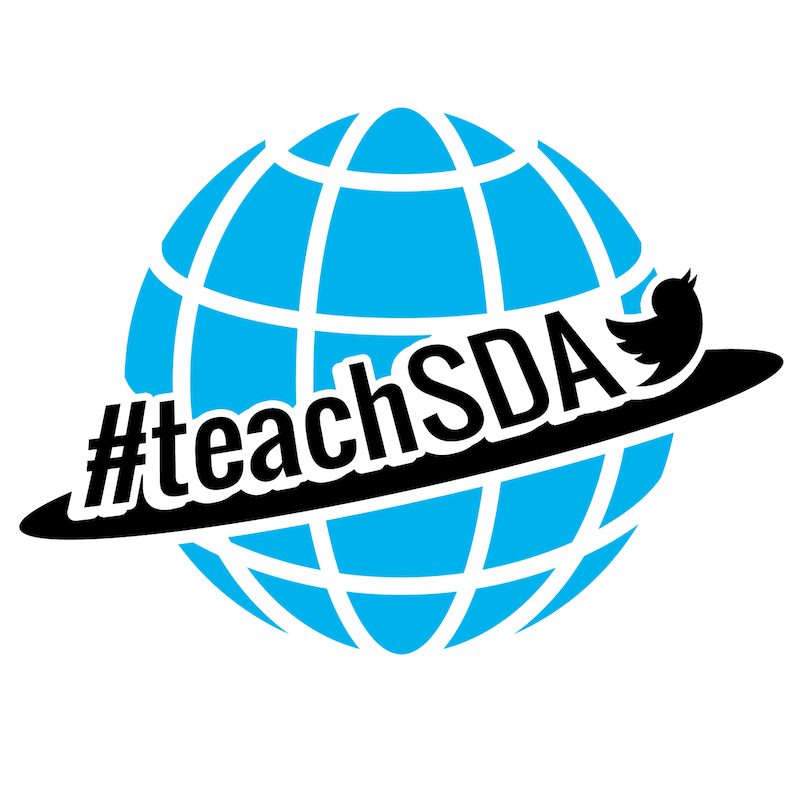 teachSDA: Join Us For Monday's Slow Chat! Join Us For Monday's Slow Chat! Just as you've finally settled into a rhythm in your class, it is now time for parent/teacher conferences. This event can cause dread for some teachers. There's always this fear that the parents are going to ask something about their child that the teacher will not know the answer to. Teachers are scared that they might have to face the angry parent who wants to question all of the practices that take place in the classroom. It's true that you never know what's going to happen when the parents show up, but over the years, I've come up with some really effective tips to help any teacher survive those parent/teacher conferences. If your school stores student grades digitally, bring a laptop or tablet that can allow parents to see grades. Some parents don't check their child's grades on a regular basis and might want to see the most recent update of the gradebook. These moments can always be good jumping-off points to a conversation. Explaining an assignment or two and how their child performed could be a good way to show the parents what their son or daughter is doing each day. It can be helpful for the parents to see the assignments and get a better understanding of what the expectations are for your class. For younger students, bring in some examples of student work so that parents can see what their child has created. It's a great idea to have these examples posted somewhere in the classroom or waiting for them on the students' desks. This allows the parents some time to see the room and the learning spaces that you have created for the students. Consider letting the parents take the student creations home. It always reflects well on you when you can show them the work their child does in classroom and send them home with a nice souvenir. There will be times when you'll need to have to have conversations with parents about certain behaviors or attitudes that are cause for concern. Instead of talking solely about the issues that student is having in class, come up with a couple of positive things to say for every issue that needs to be addressed. Often, the parents already know that things haven't been going smoothly, so hearing about some of the nice things can put them at ease and make them a bit more understanding when it comes to addressing those behaviors or attitudes. Make sure these positive stories are personal -- and do not undersell them. Every student has good qualities that should be highlighted, and it's important to share those with parents who don't want to hear only about the problems. One of the things I've learned over the years is that some parents want to be listened to. They want to share some of their own stories about the child they have in your class, and those stories can be very important in understanding the student more deeply. Taking the time to really hear parents can help create a better school-to-home connection that can help later in the year if further contact is needed to address other issues. Listening is such a valuable skill, and the parent/teacher conference can be stressful for the parents as well, so being receptive to their stories can help everyone feel better by the end of the night. This one has been big for me. It's so important to create space for students to feel comfortable in your classroom, and the same is true for parents during these conferences. Bring in some chairs to replace the student desks. Make sure that the desk or table you're using for the conferences is clear of clutter. Leave out some candy for parents to munch on while you talk about their child. Make sure that the room is clean and that tables have been wiped down. All of these little details can make a big difference in how the conversation might go. Parents are coming onto your turf, and you want them to feel comfortable. By taking some time to create a welcoming environment for these meetings, you'll find that parents will feel a lot more comfortable. Every parent/teacher conference is different, but these tips can help make the event better. If you're a teacher with some great tips on how to make this a wonderful time for everyone, please share. Are you a parent with some great tips for teachers? Leave them in the comments section so that teachers can use them for their next parent conference.